With the establishment of Films Division, India became one of the first countries along with the United Kingdom and the USA, to establish a documentary tradition. This was conducive to give rise to an anti-establishment documentary movement in India. Under the Indian Ministry of Information and Broadcasting, the Films Division was established in 1948 and functions as the media unit of the Ministry. Its prime functions entail facilitation of the production and distribution of documentaries. These documentaries are made in order to disseminate nonfiction content which deals with India’s cultural heritage, traditional folklore and biographical information of respectable Indians. The main aim of the organisation is to boost the national pride and produce propaganda films and has sadly little to offer to the independent documentary film industry in India.Since its inception; it has produced over 8000 documentaries and also distributed documentaries and newsreels. Additionally, film productions are also done at a regional / state level, which are sponsored by the respective state government run information ministries. Through the use of the Films Division, the Indian government exudes a strong hold on the financing, production and distribution of documentaries across India. The Films Division being the major producer and distributor of documentaries, the theatres have been thronged with state approved and produced films. Being a government run body, the Films Division not only blocks the distribution of independent documentaries through the mere existence but holds a legal, contractual monopoly over distribution outlets. As it is, the independently produced documentaries find it extremely difficult to find distribution outlets. In reality, since the advent of film in India, any film without the monetary support by the Films Division was rendered unmarketable. The Films Division may decide to buy an independently produced documentary at its price and then choose to distribute it or it held no future theatrically. The Films Division also provides opportunities to independent documentary makers to screen their work in commercial theatres, although the number is very limited. Each year, the Films Division provides funding to a select few films that are given to independent producers. These producers are selected from a list of over hundred such producers who submit competitive bids on film topics which the body deems suitable for outside production. Alternatively, there is also the option of buying films that have already been finished. This gives some leeway to independent filmmakers to have their work distributed in cinemas across India, given the condition that they act as suppliers for the Films Division. In spite of the heavy regulations by the government and its apparent monopoly in this segment of filmmaking, there has been recently a number of documentaries made without the government’s assistance or guidance in production and distribution. With no funding received from the government in the production of these independent documentaries, these are often made with a paltry budget using meager technical resources. Approximately only 10% of the Films Division’s theatrical releases comprise of independently produced films, leaving a dearth of exposure to the other 90% films which never get a chance to be screened in theatres. The advent of technology and its benefit of low-cost filmmaking have not much helped the independent documakers who still struggle to raise funds for production of films that are of good enough production quality in order to compete with state funded projects for viewership. As there is limited scope of distribution for independent documentary filmmakers, it becomes almost impossible for them to sustain themselves financially from the proceeds they receive from their work. Therefore, they fund their films with small donations in cash and kind. They also beseech patronage from NGOs and corporations that have common focus and would be interested in financing the film. This approach of raising funds for film production is very time consuming and prohibits the filmmaker to concentrate on his/her work. With the Indian theatres thronged with the Films Division’s documentaries, national and international film festivals have become the best venue for independently produced documentaries. This is true for both short and feature length documentaries, both of these formats have performed well at these festivals. These film festivals have been at times, able to improve the distribution scenario for these documentaries, the ultimate aim for them being exhibited to a large audience, who can resonate with the storyline of the film and do not require much background information or context-establishing exposition. Though the festivals are unable to provide monetary benefits to the filmmakers, they provide visibility to these filmmakers and open up avenues for small scale distribution especially, if there is a market attached to the festival. There have been successful cases when foreign media channels, such Home Box Office (HBO-USA), BBC (United Kingdom), ZDF (Germany), ARTE (France) and many others have bought Indian independently produced documentaries after successful screenings at such festivals. Despite the several impediments that independent films face, the future holds promise. The advent of digitisation, technological advances and alternate sources of funding will reduce the entry barriers for a film to be released and distributed. In the independent film industry, the films produced need to survive and sustain themselves through various revenue models and alternatives. Some of the key models here are TV /Video-on-demand(VOD) pre-sales which again is a rare scenario for independently produced documentaries. Independent documentary marketing is quite important to make these films viable for filmmakers to continue making them. Dedicated film venues for documentaries and talent development programs/workshops are also required (E.g. : PVR 's Director's Rare). Audience building is particularly hard. In this chain of independent documentary production value, these requirements are fulfilled by film festivals. In the independent film ecosystem-gathering, collecting and nurturing the audience to monetize them effectively is imperative and a film festival offers that possibility. At the same time, the film festival due to this reason is able to offer back sales and screening opportunities to film-makers by way of networking and any market attached (Mumbai International film Festival/International Film Festival of India). Smaller festivals however also contribute especially to the growth of emerging talent by way of talent development programmes and networking with established names in the industry. In the recent slate of festivals, Dok Leipzig Lake Festival, India is unique in its calling and ambition. 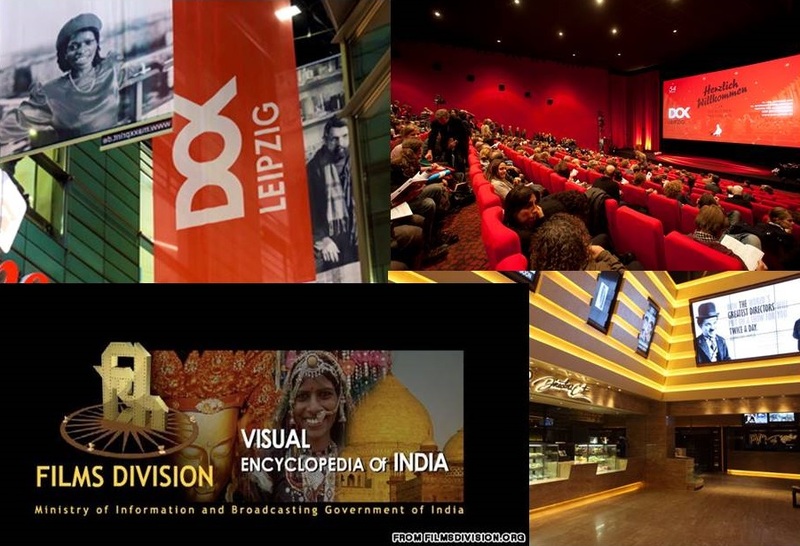 The Lake Festival runs in collaboration with Dok Leipzig (the oldest documentary festival in the world) and is envisioned to bridge gaps and address the issues mentioned above, to catalyse a process of creative and intellectual churning for unique Indian narratives that can compete in the international marketplace. It is a non-competitive platform that brings international films to India, also building audiences and providing a platform for future professional linkages between India and Europe. The schedule is designed for intensive viewing, film-maker evenings and informal debates in a non-metropolitan location,conducive to introspection. This year the festival runs from March 27-31, 2015 at the Lake Resort in Naukuchiatal, in the Himalayan state of Uttarakhand, India. There is an urgent need for film festivals in India with an open curatorial authority because of the stringent regulations laid by the Indian Government. These are required to obtain breakthrough innovations in alternate distribution models and determining methods to obtain economies of scale in the niche category of films like the independently produced documentaries and independent narrative films. PVR 's Director's Rare is the limited release arm of PVR Entertainment Group and works as a spring board to support the theatrical release of critically acclaimed cinema and niche content recognized widely at Indian and international film festivals.